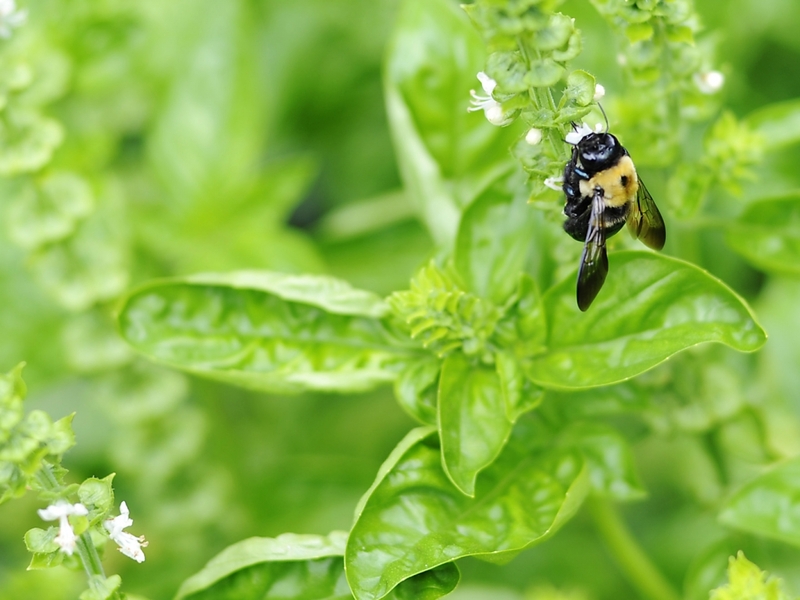 And no, this post doesn’t actually have anything to do with bees or honey, but I just liked the picture of this little guy on our basil plant. So we have this massive plant in our yard and I have been wanting to make good use of it. After reading about the “Green Goddess” on girl meets paleo, I decided I had to try this (with a few minor tweaks) and man, I am so glad we did. Everyone loved this — especially Alice! 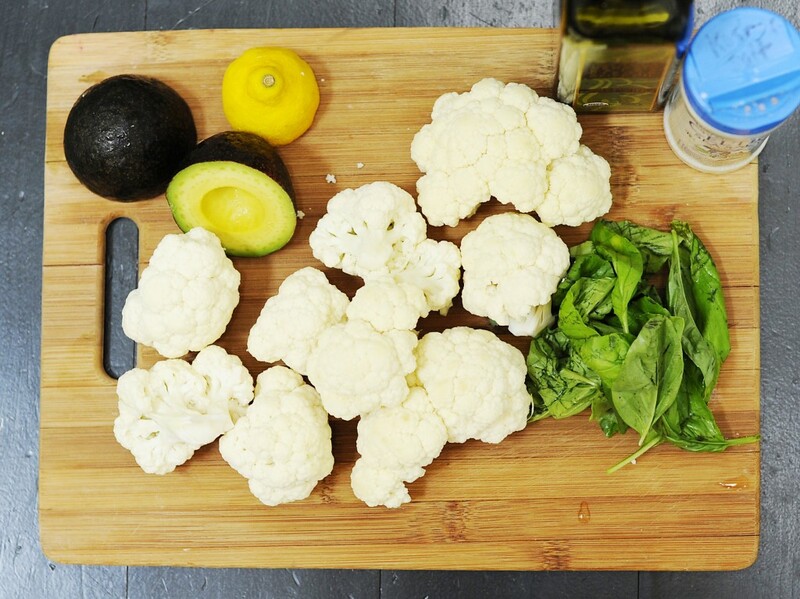 Start by chopping cauliflower into chunks. 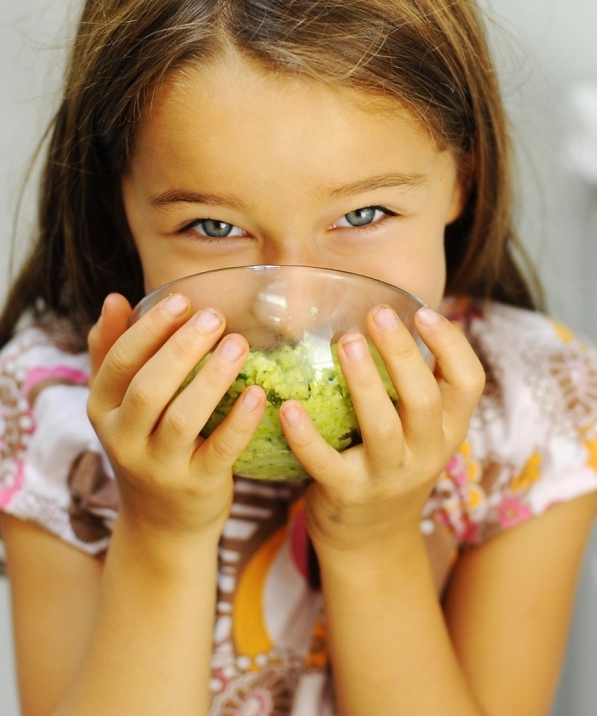 Next, put the florets in the food processor and pulse until cauliflower is broken up into rice sized pieces. Heat a large skillet over medium-high heat and melt ghee/oil. Pour cauli rice into the skillet, add salt and some pepper, and sauté until cauliflower is cooked. It should only take about 10 minutes. 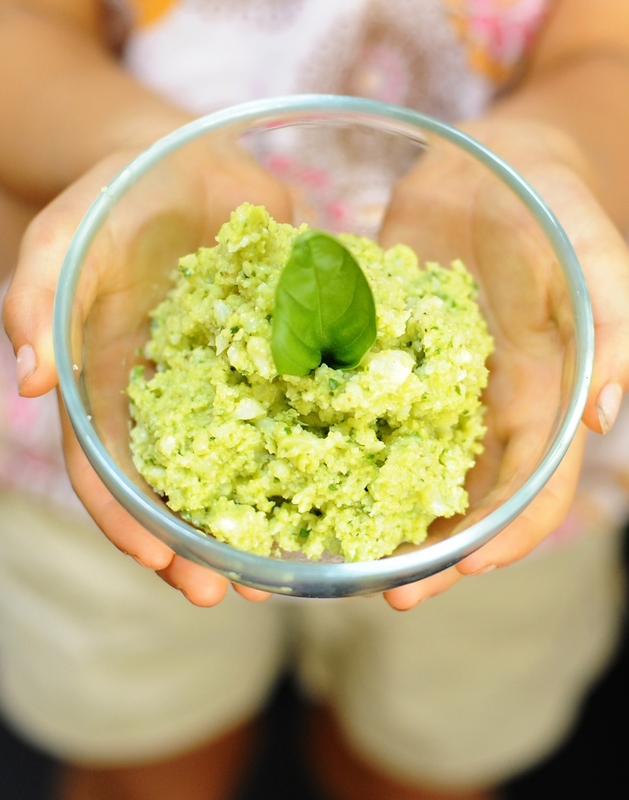 While the cauliflower is cooking, place avocado, basil, olive oil, and lemon juice in food processor and puree until smooth. Next, add salt and pepper to taste. 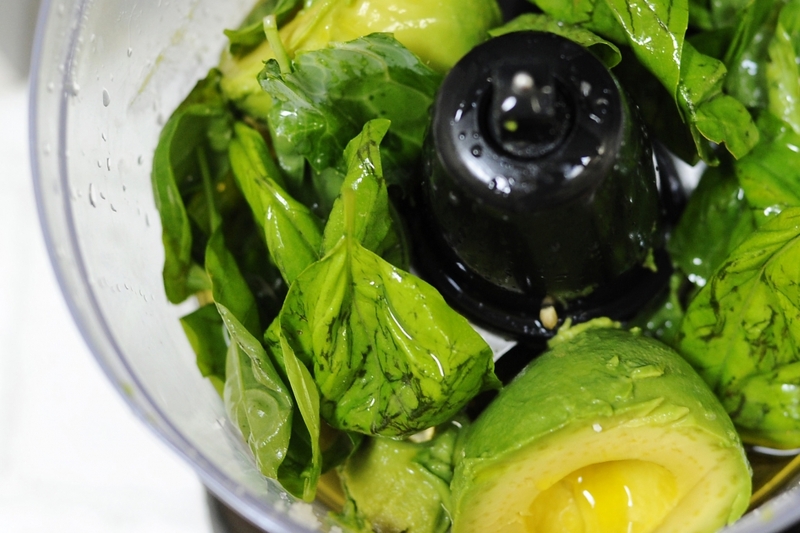 Once cauliflower is cooked, remove from heat and pour avocado mixture into the pan. 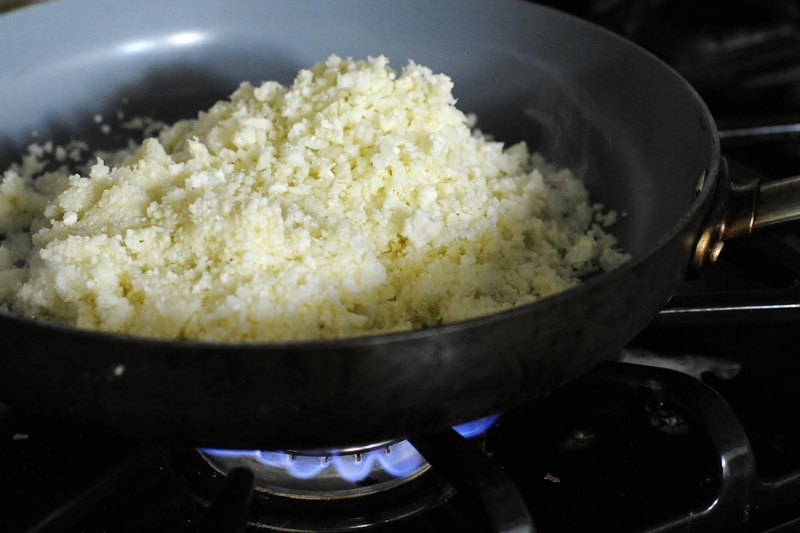 Stir until the cauliflower is fully coated, serve warm and enjoy this amazing side! Well, I guess I’ll take this as a compliment. We will be making this one again soon!